These questions and answers will continue to be updated. Please check back for new information. The guard.me @ manitoba insurance plan has been specially designed to meet the needs of MITT’s international students, and provides full coverage for basic health care. The guard.me @ manitoba plan is mandatory for all international students studying at MITT. Access to health care is very important to your wellbeing, and to your ability to learn. MITT has made enrolment in the guard.me @ manitoba plan mandatory/compulsory for all of our international students. CAN I CHOOSE NOT TO PARTICIPATE IN THIS PLAN? I lost my guard.me card. Can I get a new one? 'How do I access medical care? How do I get paid back for services I use? Will clinics bill guard.me directly? What does this plan include/cover? What if I arrive before this coverage begins? What if I have a break in my studies where I am not covered by this plan? How can I get insurance coverage for items not included in this plan? What personal information is MITT providing to guard.me? Will any other information about me be shared between MITT and guard.me? I have questions that aren't answered on this page or on the guard.me website, who should I talk to? Please email international.health@mitt.ca with your unanswered questions. Alternative plans will not be considered, and cannot be used to request not to participate in this plan. I have valid Manitoba Health coverage for the duration of my studies. How do I request not to participate in the guard.me @ manitoba plan? Some students may have Manitoba Health coverage through a working spouse or family member. Students with valid Manitoba Health coverage may request not to participate in the guard.me @ manitoba plan. To do this, please complete the Opt-Out Form (PDF). Please follow the instructions on the form and submit the form and required documents to 7 Fultz Blvd. or international.health@mitt.ca by the required deadline. 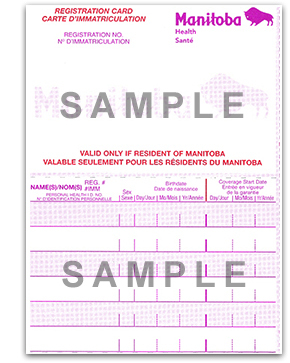 If you are waiting on a letter from Manitoba Health, please submit the form and a copy of your Manitoba Health card as soon as possible. You can submit the letter separately once you receive it. Important note: Students choosing not to participate in the guard.me @ manitoba plan are responsible for ensuring that their Manitoba Health coverage is valid for the entire duration of their studies at MITT. MITT is not liable is situations where a student does not have health coverage because they have chosen not to participate in this plan by using a Manitoba Health card that is or has expired. Once you opt out of this plan, there is no option to re-enrol. Students attending 2-year programs must request not to participate each year. I have valid Manitoba Health coverage for part of my studies. Can I request not to participate in the guard.me @ manitoba plan? Some students may have Manitoba Health coverage through a working spouse or family member now, but it will end before their program ends. Students with valid Manitoba Health coverage may request delayed enrolment in the guard.me @ manitoba plan. If students are approved for delayed enrolment, their insurance fees will be re-calculated. How can I get a letter from Manitoba Health confirming my coverage? Please allow a minimum of 7-14 days to receive your letter from Manitoba Health. Enrolment in the insurance plan is based on your period of attendance. Coverage does not begin until you arrive in Canada. Your insurance card will include your policy number, the start date and the end date of your coverage. Guard.me will email students a reminder as the end date for their coverage is approaching. Students attending 2-year programs will pay for their first year of insurance coverage with the first tuition payment for Year 1, and will pay for their second year of insurance coverage with the first tuition payment for Year 2. These details may be different for students receiving program extensions or re-applying for admission in order to complete missing program requirements. What is the cost for this plan? The cost for students up to 64 years of age is $2.50 per day, and is non-refundable. The cost for students 65 years of age and up is $5.50 per day, and is non-refundable. MITT is automatically charging all international students for an individual-coverage plan. The exact cost is on the Payment Schedule you receive with your Letter of Admission. MITT students will be registered in the guard.me @ manitoba plan after the deadline has passed for students choosing not to participate. You are still covered by the plan before you have received your card. After you have been registered in the plan, your card will be emailed to you by guard.me within 2 to 3 business days. You may print this card to keep in your wallet or purse, and/or download it and keep a copy of it on your phone or computer. Important note: Guard.me will email you using the email address we have on record here at MITT, so it is important that this information is correct. Log in to your Student Portal to view the information we have on record and update it if needed. This should be done at the start of your classes. Post-secondary students who start in Spring 2019 will receive their cards in early May. Post-graduate students who start in Spring 2019 will receive their cards by the last week of May. Can I get my card early? Students with children attending public school may request to be registered early for the plan. To do this, please complete the Early Registration Form (PDF). Please follow the instructions on the form and submit the form and required documents to 7 Fultz Blvd. or international.health@mitt.ca. In order to get your ID card, simply log in to My Account. If you have not yet created your account, you can create an account using your contact information and policy number at https://desa02.guard.me/register.php. I haven't received my guard.me card but my classmates have. Check to make sure your email is correct in the Student Portal. Check your junk mail and trash folders in case the guard.me email is there. Email international.health@mitt.ca and provide your student #, first and last name, program and your correct email address. The information on my guard.me card is incorrect. Email international.health@mitt.ca and provide your student #, first and last name, program and details. I require urgent/emergency medical attention and have not yet received my insurance card. What do I do? Your health card is not required in order to receive urgent/emergency medical attention at a hospital. You may ask the hospital for an invoice. You are not required to pay before receiving emergency treatment. You may be required to sign a right of responsibilities document. By signing this document, you are agreeing to accept and pay the invoice the hospital gives you for the cost of your services. You can submit the invoice to guard.me once you have received your health insurance care. If you have been invoiced for urgent/emergency medical services, email us at international.health@mitt.ca with your name and student number. We will work to ensure you receive your health insurance card as soon as possible. There are a few ways to find the right service provider for you. Students with guard.me have access to mobileDOCTOR to talk to a doctor/or nurse, 24-hours a day, 7-days a week. The doctor or nurse has the knowledge to provide answers over the phone to health questions, guide students to the care they need, and if needed write prescriptions. Unsure about whether you should go to a clinic or Emergency? Use this website to determine and find the right care, depending on your needs. Students will be able to submit claims once they have received their insurance cards. Many services providers will bill guard.me directly. In some cases, students will have to pay for their service up front and submit a claim to guard.me to be paid back. Students may also request an invoice, which can be submitted to guard.me and paid at a later date. Insurance claims can be submitted on the guard.me website. This is also where you will find instructions for how to do this. The guard.me website provides a list of clinics and service providers that will bill them directly. Look for this information under FIND A CLINIC, type Winnipeg and click Submit. The guard.me @ manitoba plan is a comprehensive health insurance plan. This plan provides you with coverage that is very close to what all Manitoban's receive through Manitoba Health. Please carefully consider the following information as you make decisions about what level of care is best for your health and wellbeing. You can continue your routine care and monitoring of existing and chronic conditions by making appointments at a clinic or with your family doctor. You are also covered for new illness or injury and may visit a clinic, your family doctor, or hospital to receive care. Please note that, just like Manitoba residents, you should purchase additional coverage when travelling outside of Canada. You may want to purchase additional coverage when travelling outside of Manitoba. This plan does not provide you coverage in your home country. The full policy details about this plan are available on the guard.me website - look for the PDF documents titled "Policy Wording" and "Policy Summary". Students should refer to the information available from guard.me for a complete understanding of their coverage. Important note: MITT is automatically charging all international students for an individual-coverage plan. You may buy the same insurance plan for your family members and dependents directly through the guard.me website. You are strongly encouraged to do this! You may buy additional coverage directly through the guard.me website. Use the "Early Arrivals" link to do this. Note: This will be a different insurance plan than the one offered through MITT. You may buy additional coverage directly through the guard.me website. Use the "GAP Students" link to do this. How can I get insurance coverage for my family members and dependents? You may buy the same insurance plan for your family members and dependents directly through the guard.me website. Use the "Add a Dependent" link to do this. Your guard.me insurance card is required before you can do this. You should buy coverage for your family members and dependents right away after you have received this card. If your family members or dependents are arriving in Canada at a later date, you must purchase this coverage within 30 days of their arrival. You will need to provide proof of travel dates. You may buy supplemental health coverage privately through other insurance providers. Important note: It is very important that MITT has a valid direct email address on file for you. You may verify and update your email address using your Student Portal. This should be done at the start of your classes. In extremely limited cases, and upon your request, MITT may ask for your consent to discuss your care with guard.me. Guard.me will share information with MITT about overall student use of this plan; no personal service-use information will be shared. I have questions about my insurance coverage, who should I talk to? You may visit the guard.me website for answers to frequently asked questions, and to contact guard.me directly. Important note: Your relationship and file with guard.me is personal and private. MITT will not advocate for your coverage or individual needs with guard.me.